Sue is the MD of Power of Difference. 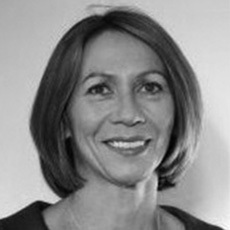 In the last 20 years, she has held a number of board-level executive and non-executive roles in the UK and Australia. She understands what it takes to succeed, how to avoid potholes in the path to the Board table, and how to establish productive relationships when you arrive! Despite starting her career cutting up human bodies as part of a biology degree, she became a successful banker, working in the sales, marketing, programme management, product management and operational areas, as well as holding key non-executive appointments. No wonder her mantra is ‘different is good’! She understands how to leverage diversity as well as develop it having spent three years as global head of diversity in a multi-national and many more years as a champion of diversity. Sue is also a Neuro-linguistic programming (NLP) practitioner and coach. Throughout her career she has demonstrated a knack for spotting talent and potential in people and ideas – and helping them to realise that potential. She also applies business case disciplines to the (sometimes) emotive subject of diversity.